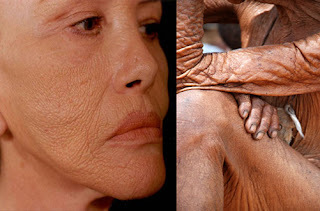 Nuala Woulfe Beauty: Skin ageing and the cause. Skin ageing and the cause. When we’re first born, the human skin begins to develop a certain level of elasticity; that is, the ability to return to its original shape and position after being stretched out. Most adults have good elasticity right up through their 20s and into their 30s. However, as the body’s natural capability of producing collagen decreases, elasticity also decreases in direct proportion. The lost elasticity means that any facial expressions that we make frequently can cause lines and wrinkles to become permanent in the underlying tissues, because the skin is unable to return to its normal shape and position. Gravity also plays a major role in the appearance of our skin as we age. The older a person gets the more likely he is to experience shrinking bones and the loss of fat deposits in key areas of the body. When bones shrink they also retreat from muscle and skin and no longer provide the tension required to keep the skin taut. Likewise, when we lose fat deposits, especially in places like the eye sockets and the jaw, the skin that once covered these fat deposits is now left to hang loosely. In both cases, since skin does not shrink, it hangs down due to the forces of gravity. This sagging of the skin is largely responsible for bags under the eyes, bags under the chin, and other noticeable skin deformities. Bad personal habits are one of the easiest to deal with in terms of mitigating the effects of ageing on the skin. 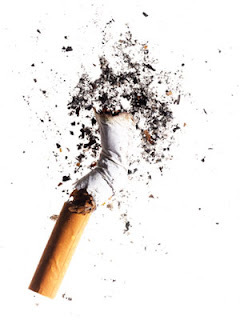 Perhaps one of the most well-known bad habits that contribute to aging is a cigarette smoking. Cigarette smoking actually accelerates the effects of aging in a couple of ways. First and foremost, the various chemical agents in the smoke enter the bloodstream and affect all of the body’s cells negatively. Smoking kills you vitamin C levels causing collagen damage. This vitamin is absolutely essential in maintaining healthy skin, and it’s what gives our skin its softness, suppleness, and plumpness. As the body naturally sees a shortage of vitamin C with the aging process, it is only exacerbated by cigarette smoking. Excessive use of alcohol may also contribute to skin ageing in a similar manner. Lack of sleep and sleep positions are two more factors that can cause wrinkles and lines in the face. Beginning with the lack of sleep, a continuation of this practice makes the face look and feel tired. Dark circles under the eyes resulting from a lack of sleep can eventually cause permanent cell damage if continued long enough. Lack of sleep can also contribute to sagging skin under the eyes. 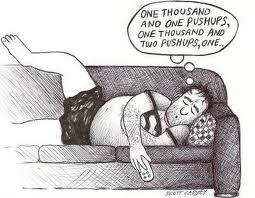 The position you take when sleeping every night is another culprit, though the idea seems to run contrary to what we know about sleep. Never sleep on your stomach. Repeated sleeping with one side of your face against the pillow night after night may result in wrinkles and lines on that side of your face. Your skin needs to be able to move and breathe. The sun’s rays are well known to be damaging to the skin. Ultraviolet (UV) rays especially are known to cause skin cancer as well as aging spots, or sun spots, as they are sometimes known. Excessive sun exposure can cause freckles to turn to brown spots, causing drying out of the skin. Sun damaged skin results in pigmentation, wrinkles and lines. Among the many healthy benefits of exercise is the fact that daily activity tones of the muscles and increases blood flow. Toned muscles remain firm and taught, keeping the pressure on the skin consistently applied. Muscles that are not exercised regularly lose their tone and shape, thus contributing to sagging skin and wrinkles. Increased circulation insures the skin continues to receive all the necessary nutrients it needs thereby, keeping it healthy. Stress can accelerate the appearance of wrinkles and lines .Likewise, stress is associated with wrinkles and lines which develop as a result of negative facial expressions. Not only does stress encourage lines and wrinkles as the skin’s elasticity is reduced, but the overall ill health that can result from stress can further inhibit the ability of the body to regenerate and rejuvenate skin cells. A person whose face constantly shows signs of stress will look older and more tired prematurely. Lack of sleep will exacerbate .Reducing stress goes a long way in extending your life and reducing the effects of ageing on the skin.